Welcome back, podcast friends! Before we dive in I just want to give a huge shout out to my clients – they are rock stars! I’m in constant awe of what they’re creating and the transformation that is happening in their lives as they’re learning, growing, and applying these amazing tools. I really love everyone I’ve ever worked with – there’s something so special and intimate about these relationships. We go really deep into their thoughts, beliefs, what’s holding them back, what keeps them awake at night and then we create miracles. It’s impossible not to be changed through this work and the connection forged through it all is just so beautifully genuine. I love my clients. I love my kindred spirits who are ambitious about wanting to change, and grow, and refine themselves for the better. So to you, my beautifully, amazingly capable clients – I adore you and love you! Today, I want to talk about the past. This is something that comes up with every single client that I work with because we all have a past and some moments and experiences that are tough to move on from. There’s some unresolved pain that isn’t quite healed and keeps you up at night. It shows up at different moments in your day and it holds us back in a way that isn’t serving us. This is actually one of the biggest differences between life coaching and traditional therapy. Which I’m a big fan of and believe it’s a necessary branch of our mental health. I’ve had several clients come to me from therapy and are able to make so much progress because of the time they spent in therapy and now they’re ready to move forward. You need to stop living in those past memories and learn how to let them go so you can progress. The definition of the past is Gone by in time and no longer existing. I like to define it as a story. Since it’s gone – it no longer exists the only place it still resides then is in our minds. The past is just a story we tell ourselves – a story that we add our persepectives, thoughts, and beliefs onto and stories are great because stories can be tweaked and changed. Think about this, have you ever gotten together with family and you start talking about this past event and everyone seems to have a totally different memory of it? To each person though, that is their past. That is their story but one really important thing to recognize and know that you can change your past at any moment. It’s like you’re all having that moment taking about the past and someone else pipes in and they’re like, “No, it was like this remember?” And at that moment a light goes on and you’re like, “yeah, okay, you’re right. I’d forgotten” then their story changes just like that – just in that moment they’ve recreated their past. You the only place it still exists is in your head. In your mind, in your brain, in the story you’re telling yourself. The past IS gone – it’s over. The future hasn’t happened yet so really, the only thing we really have is right now in the present – this moment of what you’re choosing to tell yourself, the story you’re allowing yourself to spin, to share, to believe. Both the future and the past are stories. They’re not here now – they’re not tangible – they’re gone or non-existent yet so they’re really just stories. Stories that you hold the power over. One woman shared her story of her parents not ever being proud of her. She said they never praised her or told her that she was doing a good job and for decades she held onto this belief that they’re not proud of her. She’d rehash out particular memories that happened to prove her story true. Like when I got this big award at school everyone was happy for me but they never even mentioned it. They weren’t happy or proud of me even then. The more she told herself that story that they don’t care or that they were never proud of her the more pain it caused. She allowing herself to process what’s really going on and why it’s a problem for her at all. We tend to skip this step a lot of the time. We assume we know why it bothers us so we don’t ask ourselves – it seems obvious – it’s not that her parents didn’t congratulate her on that award or other things the real cause of her pain what she’s making it mean – When they didn’t mention the award at school – What did I make that mean? What am I STILL making that mean? She was making it mean that they didn’t care. She made it mean that they’re not proud. The pain came from these thoughts, this story . Digging deeper she realized she has belief she has that they SHOULD be proud – they SHOULD show it differently. They SHOULD have congratulated her. This is a huge part of processing through the past – finding what’s creating the pain in the first place – realizing what story you’re telling yourself – what are you making it mean? Notice when you’re retelling yourself the story or telling it to others what you’re still making it mean. This really is where they pain comes from. If you caught last week’s podcast on taking responsibility then you’ll know that we need to own all our emotions – all our thoughts and realize that others don’t make us feel anything – they can’t – but we can. Our stories, our beliefs that we tell ourselves about our past can hurt us. It’s also recognizing what you’re making it mean that holds the key to being able to process and move forward. You can’t progress if you’re still stuck believing that other people hurt us – if that’s true then we need them to fix something for us to heal, to feel better and sometimes we believe this only to feel so disappointed when we get the long awaited apology or justice or whatever it is and we still feel unsettled, unresolved, stuck. It’s because THEY don’t make you feel anything.YOU are the only one that holds this key for you – you are the only one that can change and rewrite your past in a way that serves you. So the first step is just realizing what you’re making it mean. The second step is taking responsibility for your emotions. This is a huge part of it because we tend to shape our identity around these thoughts and beliefs from our past. 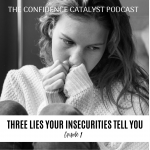 Think about something particularly painful that someone said about you and you believed them and adopted that belief so even now – perhaps decades later you still kind of believe that about you. What I want to offer to you today is that your past doesn’t have to define you. It’s optional. It’s a choice, it’s YOUR choice to make whether you’ll allow those past thoughts, habits, fears to continue to define who you are. We tend to create these habits, these thought loops and patterns that keep circling over and over again through the year and we use those as proof that this is who we are, that this is who THEY are so we do the same things repeatedly – we think the same things repeatedly, when we’re around these people what we think about them matters because it changes how we show up around them. We create these habits, these practiced thoughts and it can start to define us because we believe this is who we are, this is who they are, this is how it is and will always be. When you think about certain people in your life and you think things like, “They’ve ALWAYS been that way.” Then you show up ready and looking for evidence to prove that thought true. You show up ready and prepared for this “dance” – this they are going to do this so I’ve got to be prepared to do this and things are the same again and again. I had this client once that really struggled with her husband. They had a pretty vocal relationship. He’d do something she didn’t like so she’d snap and then he’d snap back and then their voices would escalate and then in a matter of minutes they were yelling and having this fit. She didn’t like this. She didn’t want this anymore but how could things change if HE was ALWAYS like that. She needed HIM to change – she was relying on her past to prove that things weren’t going to change and couldn’t change. She didn’t know it was optional. So when I taught her that she could really think and believe something completely different about him, about her, about their relationship things started shifting. It was awkward at first. He was still prepared for their well practiced “dance” – he was bracing for the snappy remark. He was pushing. But she just decided not to play. She decided that she wanted to think something different about herself. She decided she didn’t want to be a yeller anymore. She didn’t want to fight anymore. So she told herself again and again, that’s not who I am. He can yell, he can get upset, but that’s not me. That’s not what I’m going to do. And pretty soon, the yelling stopped entirely. Pretty soon she had given herself enough focus and evidence that she wasn’t a yeller anymore. It’s really as simple as that. I say simple, intellectually it’s simple, but in application it takes work, practice, practice, practice and a lot of cleaning your mental health. It was great working with her through this transition. Helping her take those baby steps at first and then huge leaps. Just because something happened in the past doesn’t mean it has to happen again in the future. Just because you once believed you were something or not something – doesn’t mean you have to continue to define yourself as that now. Know that you have the agency and power to create an entirely different life for yourself if you want one. You’re a choice away from creating an entirely new relationship with your family members if you want it. Things don’t always have to be a certain way. You can change it. You have agency. You have the power to rewrite your story. You have the ability to look at something new. In your relationships, you can think something new about them. You can create something beautiful and new around people that you’ve struggled with in the past. Think about your past. Think about where you’re standing – where you stood in the past – how you’re telling yourself your story – who you are, who you were – if you don’t like it – question it. Offer yourself another option. Offer yourself a new perspective. Your past is just a story you’re telling yourself – you’re the author. If you don’t like it – rewrite it. What story are you telling yourself – what kind of story are you spinning? What are you focusing on? Dr. Jill Bolte Taylor is a neuro anatomist that taught at Harvard who suffered a stroke and experienced an amazing turning point in her life. She wrote a book, My stroke of insight – it’s good. I really liked it and learned a lot from it – in it she shares that her stroke gave her a bit of amnesia for a time. She didn’t know who she was, who her mother was for a while – she had these thoughts that she likes that lady, that she felt a connection to her but she didn’t know who she was and she didn’t have any past memories of her. Then little by little things would come back to her and she said as they came back to her she had a choice, a choice to keep those memories or discard them and she said it was a choice because she had no attachment to them anymore like she once had. If the thought or belief came back to her and didn’t serve her, it didn’t feel good she chose not to keep it. She offers the same to us as well, that is IS possible to look back through your past, through each thought, belief, habit and question them. Who would you be without that thought? Who would you be without that belief? Without that definition of yourself and others? If you had amnesia and couldn’t remember your past – how would you define yourself? How would you WANT to define yourself? If you could have that experience of sifting through your past memories and deciding which story you want to keep and which you want to let go of – what would you keep? Which ones would you want to rewrite? You can rewrite your story. You don’t have to keep carrying the past around with you, the self-proclaimed definition of who you are. Your past has no hold on you unless you allow it to. You are not confined to what happened to you, what you did, what others did or said.Your current perception of the past is optional. The past is a story. What kind of story is it? One thing that was really mind blowing is that there are no old thoughts. There isn’t any such thing as an old hurt or old injuries (emotionally speaking) – The only thing we have is your current thoughts and beliefs about your story. People like to tell me they’ve had this old belief for years and it’s just hard to shake and I tell them there are no such things as old thoughts – there aren’t – what you’re having is a NEW thought, a current thought about something that happened in your past. It’s not an old wound – it’s a new wound. Every time you think that thought again, you tell yourself the story that things should be different – it shouldn’t have happened that way you’re just hurting yourself all over again and it’s optional. The past doesn’t have to be something to look back and indulge in self-loathing. Of course there are always going to be things that we did in the past that we’d rather not do again but the way we see them plays a huge role in our future and what you’re creating now. I like to think about my past as lessons. I needed to learn those lessons – what I don’t want to do is continue spinning a self-critical story and create guilt, shame, embarrassment, self loathing. What I want to do is believe that those thought, those memories are all optional. I don’t have see them in a critical light at all. I can choose compassion. I can choose to believe I’m human having an imperfect human experience . I never want to go back – there’s no need to. I just want to continue to move forward with love, compassion, courage, and creativity. I want to edit my story daily and constantly rid myself of thoughts that aren’t serving me including thoughts about the past, thoughts about people in my life, thoughts about family and experiences that happened ages ago. We’re all different now. Holding on to grudges and hurtful beliefs doesn’t hurt them. They don’t even know you’re spinning that story again and again in your mind. You’re only hurting you. These thoughts are optional. Isn’t that the best word? You have permission to think about them in a different light if you want to. This is the best news because you really do hold all the power of your life. You hold the key to feeling how you want to feel. You get to choose how you spin that story. You get to choose whether or not you’ll hurt your feelings or not. You can rewrite your past in a way that serves you. You can still believe things shouldn’t be a certain way. But now you know that they, that others hold no power over you – just because things have always been a certain way in the past doesn’t mean that’s how it always has to be. You get to decide what kind of story you’re going to spin. 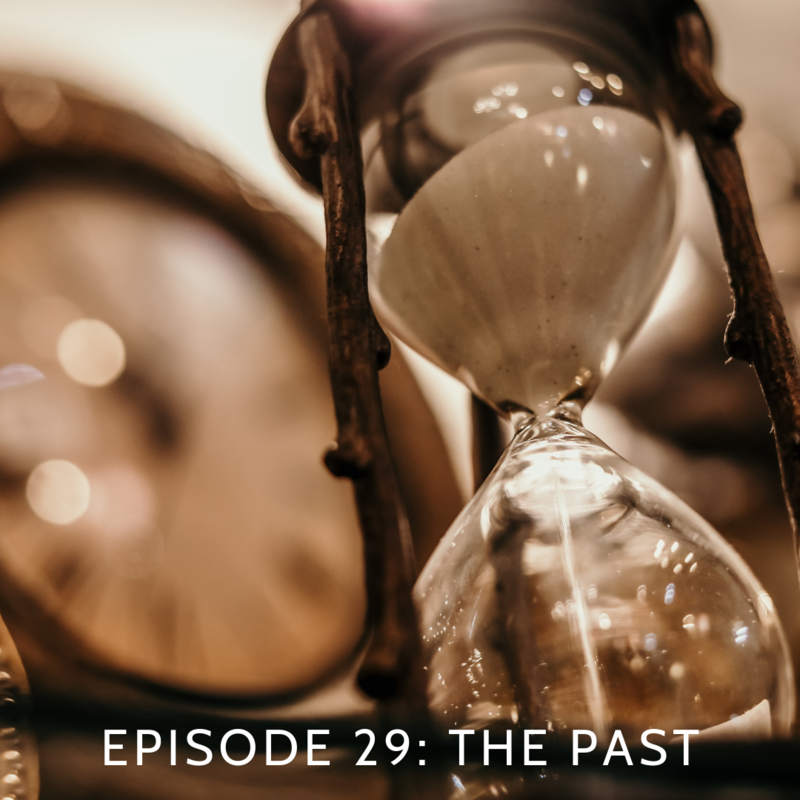 I know this is really challenging for a lot of people – I’ve worked with a lot clients that have experienced traumatic pasts who struggle with this concept – and I want them to really be able to process their past and their experiences. I’m not making light of their past or minimizing anything that happened to them or to say what happened doesn’t matter. But I am telling you that you have the option to see it differently, to choose a different story. But the best thing you can do is take all the power back – to stop giving them power over you. Whatever has happened to you doesn’t cause you pain NOW – in this moment you are okay. In this moment you are safe and okay. The only thing that matters right now is how you think about it, how you choose to interpret the circumstance – what you choose to make it mean. The pain is only in your mind right now. It doesn’t have any power over you unless you let it. Unless you focus on it and think thoughts about it that create that pain for you all over again. The past is only a story in your mind. You get to decide how you want to feel about it. You get to decide what you want to believe about it – the story you want to tell yourself about it. You are the author – what’s your headline? What kind of story is it? Learn to edit often. 2.) When it comes to your past and feeling hurt – inquire within. Ask yourself: What am I making that mean? What am I making those comments mean? Their actions or inactions mean about me? Why is it a problem for me? 3.) Take responsibility for your emotions. Remember, the past is gone – it doesn’t exist anymore – no one is hurting you in this moment – the only thing hurting you now is your story you’re telling yourself. It only exists in your mind. 4.) Make the word, OPTIONAL your new favorite word. Plaster it all around your house – optional – The past is optional. The story you’re telling yourself – optional. Those beliefs and habits – optional. Holding grudges – optional – Pain – optional. Labeling yourself as something like, I’m just not a math person – optional. I’m not someone who can show how they feel – optional. I could never do that – optional. It really is a beautiful word. Rewrite your story in a way that serves you – in a way that creates the feelings you WANT to feel, in a way that helps you to move forward. I love thinking about the past in this way. It’s powerful work. When you’re ready to change your past come set up a mini session with me and I’ll help guide you on your path to rewriting it in a way that motivates you and creates genuine love. Okay, have an epic week! Talk to you next time!